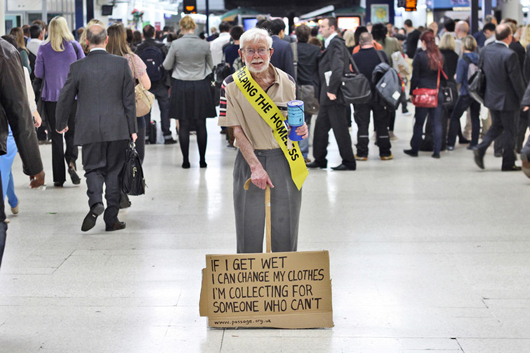 Here’s a cracking little campaign … or stunt I guess … from homelessness charity The Passage. The campaign is a cracking idea. I think. 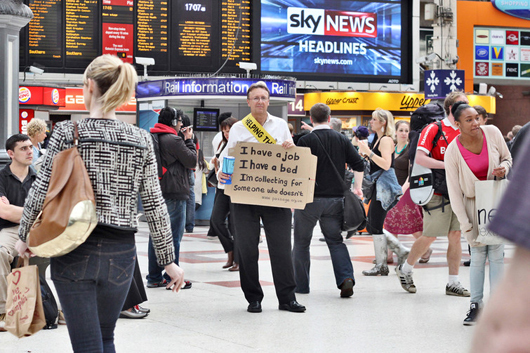 Let’s face it, homeless people looking to raise a few quid on a concourse have become pretty much invisible these days. 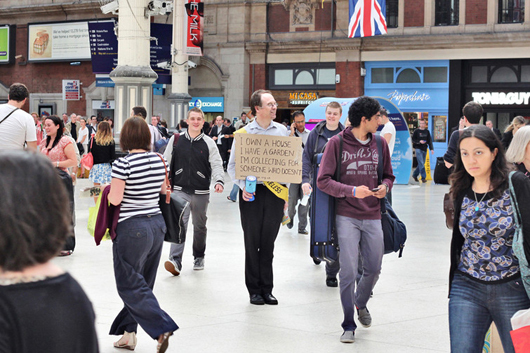 So to get people to take some notice of them, the NGO got some non-homeless people to stand in their place with relevant placards that deliver the message and get some stand out.